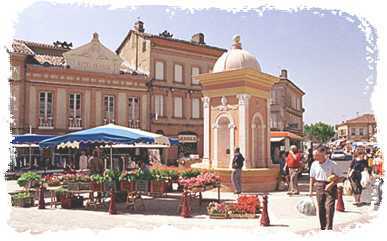 The Gers, also part of old Gascony, is one of the most attractive and unspoilt parts of France if not of Europe. It is largely rural and the least populated area of France. 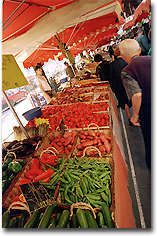 The thriving local economy is substantially derived from agricultural and artisan’s enterprise. 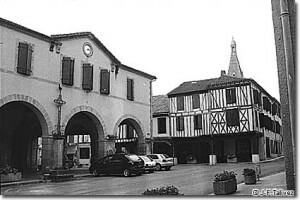 World famous examples of the latter being producers of Paté de foie gras, wine and Armagnac. As there has never been any large-scale industrial developments in the Department it has remained environmentally intact. With its picturesque hills, dense oak woods and hedged fields, the Gers is one of the few remaining regions where the eco-system remains balanced and the atmosphere unpolluted. Due to its special local climate, there are many pristine bathing resorts and spas to offer, including the internationally renowned Barbotan-les-Thermes health spa in the Armagnac region, in the north west of the Department. The historically interesting Auch, with its impressive, ancient architecture, cathedral, squares, restaurants etc. is the official residence of the Department of the Gers. It has 25,000 inhabitants, a small airport and two golf courses. The city of Toulouse, with its international airport, aerospace centre, its shopping centres and its old, traditional University, can be reached in just over an hour by car. 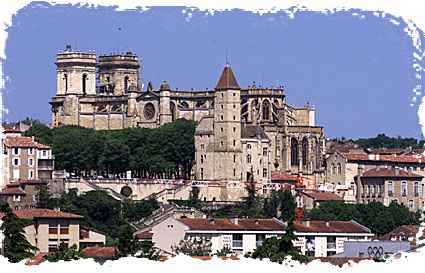 Lourdes is only 90 km away and both the Atlantic Ocean (the dunes of Arcachon, Biarritz) and the Mediterranean Sea (Sete, Narbonne, and Perpignan) is 200 km in distance. 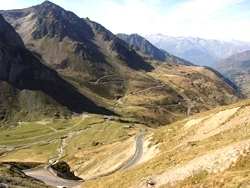 The Pyrenees are also very close and in a little over an hours travelling you can find the most wonderful skiing slopes and plenty of walking, climbing and ”Tour de France” cycling. There are lots of local excursions including different farms to visit, churches, bastille towns, vineyards and wine tasting. Plus Mirande water park, lake Saramon with beach/swimming etc., spas, golf courses, karting, canoeing on rivers or lakes, sailing on the nearby lake, walking, cycling, tennis, paint ball, tree-top adventure, horse riding, Marciac Jazz festival and lots more. 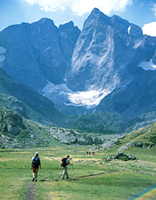 A little further afield there’s lots to do in the Pyrenees.